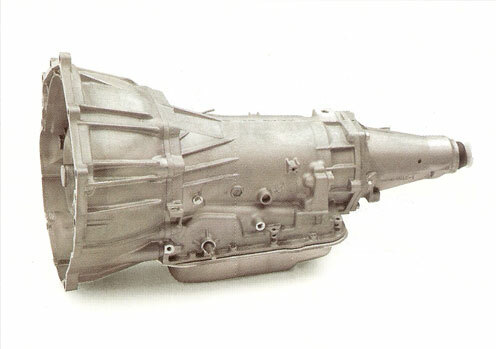 One of the best automatic transmissions for cars and light duty trucks is the General Motors 4L60E. What that stands for is a 4 speed, Longitudinal (rear wheel drive), 60 Series, Electronic overdrive automatic transmission. What makes it so good is partly due to the original design and making the necessary upgrades as technologies improve. Possibly the most common transmission used in the GM rear wheel drive vehicles. Essentially this unit is structurally sound. For the most part there have been few design changes in this transmission. By the time the venerable T700R4 went out of production, any and all integrity issues were solved by upgrading any weak-links in the internal structure transitioning the 700 into a computer controlled electronic electronic 4 speed overdrive transmission with lockup. Instead of the now antiquated hydraulic control system of the 700, the 4L60E unit is an electronically controlled transmission, using signals from a complicated subsystem of input sensors, control solenoids, various engine sensors, all delivered to a computer system capable of putting the info together, thus making shifting decisions for your vehicle. One of the few improvements or upgrades for this unit is what is called a shift upgrade or recalibration kit. What this does is revise the thinking patterns of the valve body, or brain of the transmission for better quality shifts and by allowing more lubrication flow to all critical internal components. If you choose one of our transmissions, you can bet every single one of them comes with the latest upgrades available. We also like to know exactly what the purpose of your vehicle is so we can outfit you with the rebuilt transmission that suits your interests the best. When you call GotTransmissions.com, we will not only provide some education for you in terms you understand, we will also ask plenty of questions so we can recommend the rebuilt transmission that fits your budget and needs. Call us at 866-320-1182 and speak to a trained transmission representative about your transmission replacement issues.